Travel by the corner of North Sycamore and Lincoln streets in Iola, and you will be amazed! 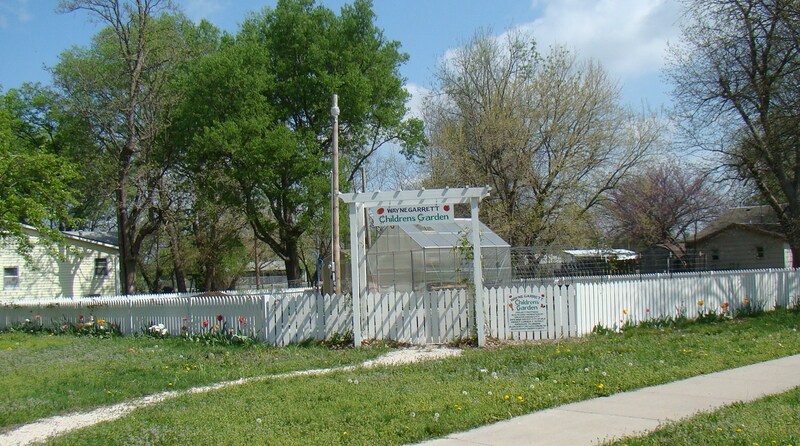 The Wayne Garrett Children’s Garden is a combined effort of the City of Iola, Allen County, USD 257, the Iola Police Department DARE Program and many local businesses. The garden is a 13-plot garden that features raised beds, a greenhouse, a compost heap and an arbor, all surrounded by a picture-perfect white picket fence. The garden came about through the SAFE BASE After School Program's efforts to increase awareness of food sources, enhance nutritional health of students and their families, and as a way to honor a man who was dedicated to children and his community. Wayne Garrett was an advocate for children and for SAFE BASE but was killed in a tractor/car collision in the fall of 2008. He was at a meeting seeking funding for SAFE BASE (the after-school educational program) a week before he died. It seemed appropriate that the garden be named for him. 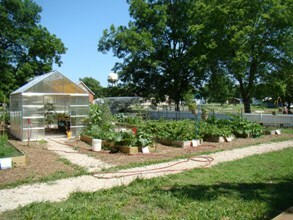 The garden provides “school-based” learning for all elementary and middle school students enrolled in the district’s after school SAFE BASE program. Along with growing nutritious food, throughout the year, students research recipes and plan themed “Blue Plate Specia l” dinners that are shared with their families one Wednesday a month. 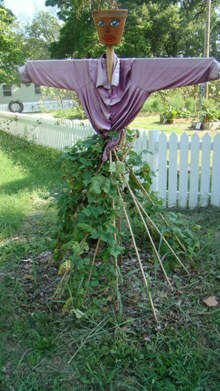 The goal is for kids to be able to replicate these activities at home including gardening with their families in yards. The gate is always open for you to come in, look around or sit on the benches and relax.